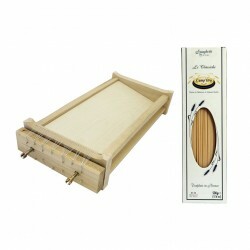 Chitarra machine plus a complimentary spaghetti pack ( Drawing: Bronze - Packaging: 500g ) Delivery service available on request. Please note: the price is inclusive of the paypal fee. TO AVOID THE PAYPAL FEE, you can purchase the voucher directly over the phone by credit card at (01) 460 8800, Mon-Fry between 9.00-17.00 GMT. 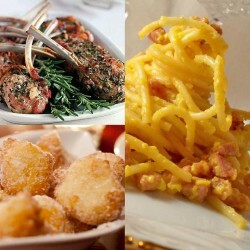 Hands-on cookery class When: 11/05/2019 - 10.00 AM to 12.30 PM Where: Italian School of Cooking - 1 Pudding Row, Essex Street West, Temple Bar, Dublin 2 Please note: the price is inclusive of the paypal fee. TO AVOID THE PAYPAL FEE, you can purchase the voucher directly over the phone by credit card at (01) 460 8800, Mon-Fry between 9.00-17.00 GMT. 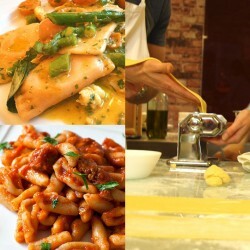 Hands-on cookery class When: 18/05/19 - 10.00 AM to 12.30 PM Where: Italian School of Cooking - 1 Pudding Row, Essex Street West, Temple Bar, Dublin 2 Please note: the price is inclusive of the paypal fee. TO AVOID THE PAYPAL FEE, you can purchase the voucher directly over the phone by credit card at (01) 460 8800, Mon-Fry between 9.00-17.00 GMT. 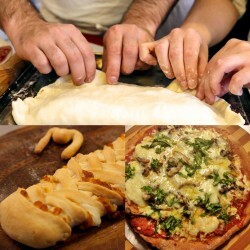 Hands-on cookery class When: 25/05/2019 - 10.00 AM to 12.30 PM Where: Italian School of Cooking - 1 Pudding Row, Essex Street West, Temple Bar, Dublin 2 Please note: the price is inclusive of the paypal fee. TO AVOID THE PAYPAL FEE, you can purchase the voucher directly over the phone by credit card at (01) 460 8800, Mon-Fry between 9.00-17.00 GMT. 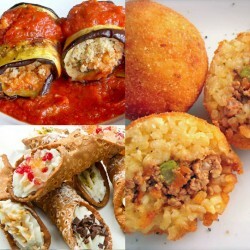 Hands-on cookery class When: 08/06/2019 - 10.00 AM to 12.30 PM Where: Italian School of Cooking - 1 Pudding Row, Essex Street West, Temple Bar, Dublin 2 Please note: the price is inclusive of the paypal fee. TO AVOID THE PAYPAL FEE, you can purchase the voucher directly over the phone by credit card at (01) 460 8800, Mon-Fry between 9.00-17.00 GMT. 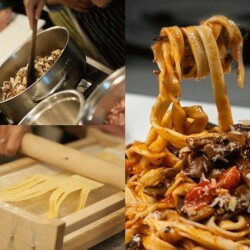 Hands-on cookery class When: 22/06/2019 - 10.00 AM to 12.30 PM Where: Italian School of Cooking - 1 Pudding Row, Essex Street West, Temple Bar, Dublin 2 Please note: the price is inclusive of the paypal fee. TO AVOID THE PAYPAL FEE, you can purchase the voucher directly over the phone by credit card at (01) 460 8800, Mon-Fry between 9.00-17.00 GMT. 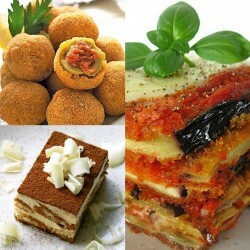 Hands-on cookery class When: 29/06/2019 - 10.00 AM to 12.30 PM Where: Italian School of Cooking - 1 Pudding Row, Essex Street West, Temple Bar, Dublin 2 Please note: the price is inclusive of the paypal fee. TO AVOID THE PAYPAL FEE, you can purchase the voucher directly over the phone by credit card at (01) 460 8800, Mon-Fry between 9.00-17.00 GMT. When: 13/07/2019 - 10.00 AM to 12.30 PM Where: Italian School of Cooking - 1 Pudding Row, Essex Street West, Temple Bar, Dublin 8 Please note: the price is inclusive of the paypal fee. TO AVOID THE PAYPAL FEE, you can purchase the voucher directly over the phone by credit card at (01) 460 8800, Mon-Fry between 9.00-17.00 GMT. 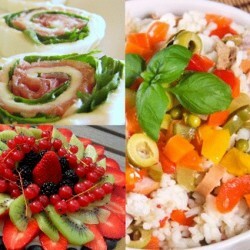 Hands-on cookery class When: 20/07/2019 - 10.00 AM to 12.30 PM Where: Italian School of Cooking - 1 Pudding Row, Essex Street West, Temple Bar, Dublin 2 Please note: the price is inclusive of the paypal fee. TO AVOID THE PAYPAL FEE, you can purchase the voucher directly over the phone by credit card at (01) 460 8800, Mon-Fry between 9.00-17.00 GMT. 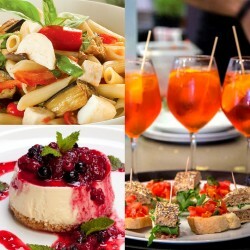 Hands-on cookery class When: 27/07/2019 - 10.00 AM to 12.30 PM Where: Italian School of Cooking - 1 Pudding Row, Essex Street West, Temple Bar, Dublin 2 Please note: the price is inclusive of the paypal fee. TO AVOID THE PAYPAL FEE, you can purchase the voucher directly over the phone by credit card at (01) 460 8800, Mon-Fry between 9.00-17.00 GMT. Hands-on cookery class When: 3/08/2019 - 10.00 AM to 12.30 PM Where: Italian School of Cooking - 1 Pudding Row, Essex Street West, Temple Bar, Dublin 2 Please note: the price is inclusive of the paypal fee. Hands-on cookery class When: 24/08/2019 - 10.00 AM to 12.30 PM Where: Italian School of Cooking - 1 Pudding Row, Essex Street West, Temple Bar, Dublin 2 Please note: the price is inclusive of the paypal fee. TO AVOID THE PAYPAL FEE, you can purchase the voucher directly over the phone by credit card at (01) 460 8800, Mon-Fry between 9.00-17.00 GMT.